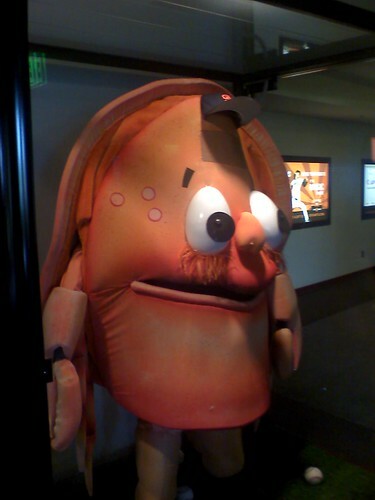 I'm really frustrated with the SF Giants and their dynamic ticketing system. I did a comparison of the pricing lists I printed from January 31st and today, February 3rd. Just last night, I used the January 31st list to pick nine single games I can attend that was a good balance of cost and still get to see the bitter rivalry against the Dodgers. Using the pricing sheets, I compared just how much the prices have changed, and it's drastic. In a matter of a few days, the extra money I have to pay to buy tickets is: $24.50. Another way to look at this, the January 31st total: $214.25, February 3rd total: $238.75; a 10.26% INCREASE. The dynamic pricing system truly works when the Giants knows who is pitching, the weather, popularity of the opposing team, how the Giants rank in ERA, National League, and other numerical factors, and some others. But here's the problem, the season hasn't even started for the Giants and they have already jacked-up the price. We don't know who is going to pitch in the sixth regular home game, or what place the Giants will be in the standings. The new price list I retrieved was updated today, prior to the start of the pre-sale of tickets for people with Visa cards. What factors caused the Giants to raise the price of tickets when the regular season hasn't even started? Did Brian Wilson's visit to the George Lopez show jack-up the need to see him pitch? Or is it the gimp (a.k.a. "The Machine)? Nearly all of the games I chose went up in price, except for just one. The dynamic pricing list shows a lot of opportunities to just pay a few quarters more and you can get a better seat in the View Box level versus paying for View Reserved Infield. I'm wondering how much more I'm going to have to pay before tickets go on sale starting February 5th at 9AM. For those who wants to beat the surcharges by buying in person, you'd better review the pricing list before lining up this Saturday for tickets at the ballpark. What's next, raise the price of garlic fries on the "dynamic fries" system? How about raising the price of a cup of beer when the weather is hot? What will it take for the Giants to kill dynamic pricing? They just raise the ticket prices for the games where they are selling a lot of tickets. QED. Murph is right, it's called supply and demand. But how far will the Giants go with this dynamic stuff until the public gets fed-up? At least with set prices that never fluctuates, it made it easy to budget out how much I can spend and the games I can get. Now, I have to keep track on a daily basis before the tickets go on sale. It doesn't seem fair I have to pay 10% more when nothing really changed for the Giants.